Here at the Huerter/Schiks/Van Abeelen household there were 6 rabbits living. Those rabbits lived in a room, in cages, and never came out. I had to explain to the girls every single day why those rabbits had to be fed. The girls were no longer interested in those rabbits. Well this morning, good news arrived and Mireille found a good home for the rabbits to live. A girl, who is obviously a rabbit lover, agreed to take the rabbits. Thank God. Well Mireille asked me to go with her to deliver the rabbits. So we loaded the rabbits this evening in the car and headed out into the country. Now, Mireille warned me this is really out in the country. She gave me her version of the directions, written in chicken scratch Dutch/Swedish and a map. I was the navigator. We started off ok, going down our normal road, and she had a slight idea where we were going. We started into some towns I had never heard of, and followed into a curvy, very dark road. And mind you, Swedish people do not let the dark or rain bother them. There were many people running and biking, so we felt kind of safe, that people actually live on this road. We then hit the "ancient ruins" sign, and this is where the house is, we think. We call the girl to confirm and she tells us to keep going down the road, it's very bumpy, very dark, and there is a "car graveyard" to the left. Ok? We aren't sure which way to go, but we know the road to the right is incredibly floaded with water and we decide we can't go that way. So we head into the car graveyard. This can't be her house. This is way to creepy. You can't even see the house. Oh my god, is that a boat? This place was very very creepy. I felt like we had teleported to somewhere in the Ozarks. But there she was, waiting, with a super creepy pit bull. We then unload the rabbits and carry them into a dark alley. We put them in a room with over 50 other rabbits. This place was, yes, I'll say it again, creepy! I've never been to a place like this in Sweden. People in Sweden keep their homes and the area around their home very clean. Even if they live in the country, it's clean. Once we got back into the car, we were so ready to get back onto the road. And we had a pretty good laugh at how "brave" we are. Not only did this creepy adventure happen, I noticed something that has grown normal to me, but then I realized it's not that normal in the US. As I mentioned, Swedes are always out running, biking, or walking their dog, regardless of light and rain. But they all wear these vest things, that are reflective and even their dogs and horses get them! Swedish people are so safe! "riktigt mörk" means "really dark" and that road we went on was "riktigt mörk!" Why so many rabbit in the house? What do you think will really happen with them? Do they have rabbit fights like dog and chickens do? You didn't leave your name and address or anything did you? 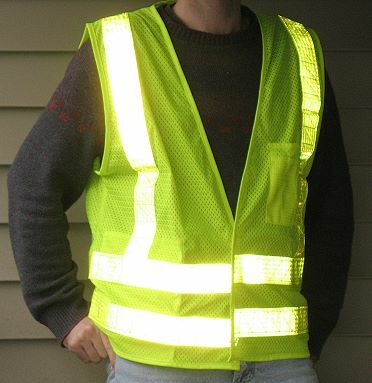 Do you have a reflective vest? Did the rabbits? Did they live in the boat? Was the mans name Noah, no then there would have only been two rabbits, but the other road was flooded...oh, my I'm sufficiently creeped out - don't go to the ancient ruins again ok. Love Mom who has not rabbits or boats.